So I have been meaning to upload this post all week but haven't managed to find the time to upload. Today is a relaxing day with time devoted to uploading, so thought I'll upload some of this weeks outfits of the days. We've had dreadful weather these past couple of months and its been impossible to get in the mood for looking good. However, today has been a good day. I always say ('the weather needs to make up its mind! Is it Summer, Winter, Spring or Autumn/Fall'). Today has been a day of reflection for me. A day of embracing what I already have, being happy in my skin. As a being, the biggest gift you can do for yourself is to love you and be happy with you and what you have to offer to the world. I hope you do the same too. Embrace who you are and are continuing to evolve. To keep in spirit of the valentines day this Friday, I thought I'll upload a make-up look for you all. Some inspiration/ideas if you like. I know this would have been much more interesting if I had filmed the look for you, however, I am still trying to get used to talking to myself in the camera. I will get comfortable, but for now unfortunately the pictures and written texts will have to suffice lol. 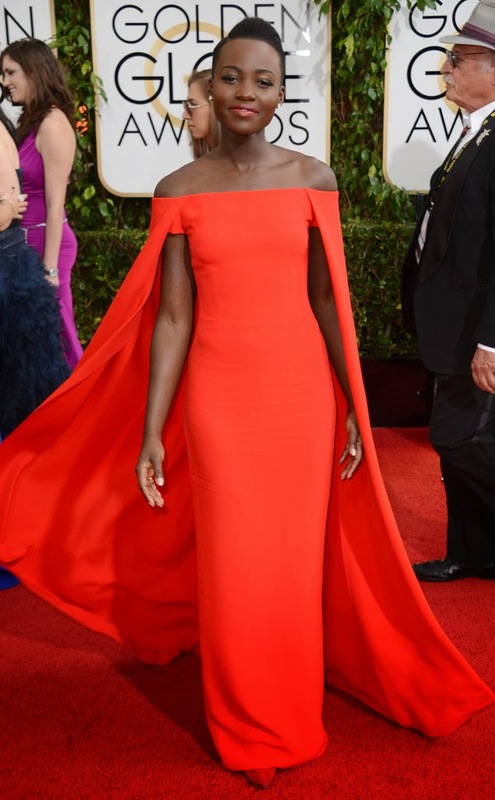 Lupita Nyong'o has continuously stunned me in all of this years red carpet apperances. She is a natural beauty with an amazing physique. Her impecable style stands her out of the croud. For sure she is my style icon of the year. Have a look and try for yourself. I've been having an amazing long weekend in Leeds. Last night we decieded to go out for dinner at Olive tree (Greek). The food was amazing. Great fast service and was nice to have something different.